Dates: TBA. This course can be taken in the tutorial format. Tuition: $450/ 10-week course/ trimester (can be paid in 2 installments, upon request). Registration: $25/course (waived for candidates in training) - can be paid by CC via PayPal - follow the link: PayPal.Me/ORINYC . Additional registration fee ($25) for non-candidates. Scholarships are available for students and retirees. Cultural artifacts (stories, novels, and myths, religions and rituals, music and dance, poetry and art, movies and theater, opera and architecture, etc. ), the DNA and the building blocks of our enculturation, were initially the products of individual cultures, through which they produced and perpetuated themselves inter-generationally. Historically, cultural artifacts have been the means by which all societies have sought to educate and to fashion the development of their newcomers to become their mature and productive members. Today, cultural artifacts also become the means by which each individual can choose to become his/ her own unique self. We now dwell in a world in which the entire inventory of global cultural artifacts is at our collective and individual fingertips. All we need to do is to access them self-consciously and intelligently. For the first time in our entire history, we can now choose to actively guide this development, rather than be its passive recipients. This course is designed for individuals who are seeking to deepen and to take conscious control of their own cultural/ spiritual development. And, since it is a direct correlation between self-understanding and insight into others, this course is especially designed for those whose professions involve in teaching and guiding, and assistance of individuals who are caught in various life crisis of modernity, such as mental health professionals, educators, ministers, social workers, counselors, psychologists, and even parents. Special attention will be given to the practical applications of the cultural artifacts through a variety of psychological exercises and thought experiments that will enable us to better pursue our personal and professional goals. We become human as a result of the complex interplay between nature (biology) and nurture (culture). We are the creators and products of cultural artifacts. We are not born human –rather, we become human over a lifetime of struggle towards our unique and human selfhood. At the center of this struggle and the first and ineluctable reality of our existence is the dialectic of intergenerational conflict. Laius, Jocasta, and Oedipus are the paradigmatic expression, myth and model of this bedrock reality of our existence. Hence we begin our spiritual explorative journey with Oedipus (Sophocles), Hamlet (Shakespeare), Fathers and Sons (Turgenev), The Brothers K. (Dostoyevsky), and Letter to My Father (Kafka). Conceptually, Cultural Artifacts theory is an offspring of the liberal arts, humanities, and social sciences, and it is grounded in the real structures of the human condition as experienced and embedded in family and society (Erik Erikson), the quest for genuine self (Joseph Campbell), the struggle against bad objects (Jeffrey Seinfeld & Martin Bergmann), and leads to the birth of the mature well-integrated vital self engaged in the ongoing struggle for identity, social justice, and environmental responsibility. This course seeks to provide tools of self-emancipation for an active and guided spiritual development. Our goal is towards self-empowerment to active (rather than passive) use of our rich and now global inventory of cultural artifacts. In a quest for selfhood we re-discover our connections to both the social and natural world - from our families and neighborhoods and countries to the whale, the elephant, and the Earth as a whole. The vicissitudes of the hero journey are at the center of our individual and collective humanity and the pre-condition of the emergence of socially and environmentally responsible full human existence. J. Seinfeld, The Bad Object: Handling the negative therapeutic reaction in psychotherapy. J. Campbell, The Hero with a Thousand Faces. M.S. Bergmann, In the Shadow of Moloch. E.H. Erikson, Childhood and Society. H. Loewald, The Waning of the Oedipus Complex. F. Kafka, Letter to My Father. F. Dostoyevsky, The Brothers Karamazov. I. Turgenev, Fathers and Sons. W. Benjamin, The Work of Art in the Age of Mechanical Reproduction. M. Heidegger, The Origin of the Work of Art. T. Adorno, The Culture Industry. Sophocles, The Three Theban Plays: King Oedipus; Oedipus at Colonus; and Antigone. V. Frankl, Man's Search for Meaning. The Wizard of OZ (V. Fleming); Star Wars (G. Lucas); Psycho (A. Hitchcock); Its a Wonderful Life (F. Capra); The Seventh Seal (I. Bergman). Robinson Lilienthal, PhD – professor emeritus of philosophy, world religions, and applied ethics (including environmental, engineering, biomedical, and business) for thirty years; twenty of them – at Rutgers University. He is the scholar of Nietzsche and the environmental public policy consultant. His paper "The Mother, the Mountain, and the Mature Self: Three Tests of Environmental and Engineering Ethics" was published in September 2013 issue of the MindConsiliums, an on-line peer-reviewed multi-disciplinary journal (http://www.mindconsiliums.org/publications/2013/09/2013-09-Lilienthal-the-mother-the-mountain-and-the-mature-self-abstract). 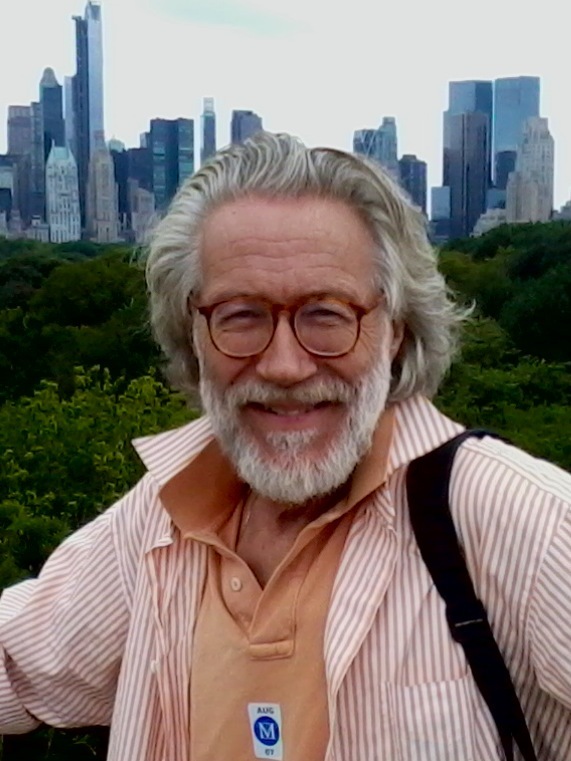 Dr. Robinson Lilienthal studied philosophy, religion, psychology, and history at Reed College, the Hartford Seminary Foundation, and at the Graduate Faculty of the New School for Social Research. His Doctoral dissertation was on "Nietzsche's anatomy of nihilism: The philosopher as physician of culture." Since 2009, Dr. Lilienthal is a scientific faculty member at ORI. His first contributions to the ORI community were the ones he did together with Dr. Jeffrey Seinfeld on the "Creative Use of Melancholia." He is currently working in the field of global cultural artifacts and their possible therapeutic application. Dr. Lilienthal can be contacted by phone: 646-221-3349 or email@ Robinson.Lilienthal2009@gmail.com. WHY TO BRING 'HUMANITIES' BACK TO MEDICINE AND MENTAL HEALTH? "The ability to listen and empathize are crucial to the therapeutic doctor-patient relationship and yet these skills are undervalued and often ignored in traditional medical education. Perhaps this is because these virtues are not easily taught, but rather are best acquired through life experience and through emulating those we admire. Barely into their 20s, medical students have not had the life experiences and mentoring to give form to the barrage of scientific data, lab work and protocols which are thrown at them upon arrival to medical school. The humanities can help substitute for the vacuum in lived experience. Great literature, philosophy, history, and movies are great precisely because they teach us about the meaning of life and how best to understand and respond to the needs of our fellow men and women. Artistic depictions of human interaction, life and death, hope and despair, stand as ready resources for discussion and example as students try to sort out their role as healers in an increasingly technical milieu. Of course, understanding the technical nature of illness will always be critical and not to be discounted. But illness is not something out there in a textbook-- rather it is always happening to individuals, to persons not cohorts or study groups. As physicians the person, not just the illness, should always remain our primary concern. Beyond diagnosing and treating symptoms, we must consider this person experiencing them. We can provide the best treatment and avoid mistakes only if we treat the whole patient, not just this or that symptom or lab test. My love of the humanities has served me well in understanding those who come before me for help. Nuance and conversation, exploring questions together, and accepting that they may not always have a clear and certain answer are notions that are second nature to the student of liberal education. In our minds, uncertainty doesn't mean futility. Rather the process of working together is itself fulfilling and we will be better off accepting uncertainty than prematurely reaching false certainties. Website created by MindMendMedia (last updated on 09/02/2017).